The death of a dolphin on a beach in Argentina has incited fury online with users questioning the behavior of onlookers clamoring for selfies with the creature rather than helping it back in the water - the second such incident in the country in less than a year. 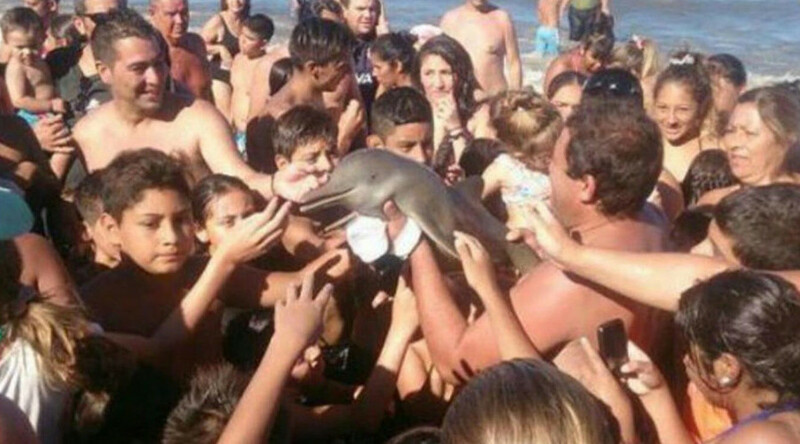 The footage of the dolphin shows a crowd of people gathered around the animal as it struggles for life. “It’s already dead. Look, it’s all swollen,” one eyewitness can be heard saying in the background. “They could have returned him to the water — in fact, he was breathing. But everyone started taking photos and touching him. They said he was already dead,” one eyewitness, told local media. Reaction to the incident online has been one of anger and dismay. “If you see an animal on the beach, don’t take a photo. Situations like this can kill them,” The Wildlife Foundation Argentina said on Twitter.